The X Factor Australia 2014 has revealed the songs for the ‘Power and Passion’ live performance night this week! The Final 4 contestants will return on X Factor Australia stage to perform on ‘Power and Passion’ themed show on Sunday, October 12, 2014. The four singers are hoping to impress the judges and the viewers for a spot on the Final 3. Marlisa Punzalan, Dean Ray, Brothers 3 and Reigan Derry will sing two songs each. Below are the songs for this week. 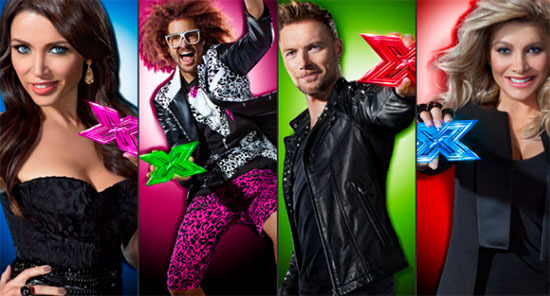 On Monday, the Live Decider show will feature performances from 5 Seconds of Summer and the Script. Who do you think will shine this week? Tell us your thought on the comment section! Join us on Sunday at 6:30pm; we will be doing recap of the Top 4 Live Shows!